Headhunters, in simple terms, are recruiters – but not all recruiters are headhunters. Another term for what headhunters do is “Executive Searching” and this is it in a nutshell – they search for the ideal candidates at executive and senior management level. But they don’t just match people to companies; they match companies to people. So what else does a headhunter have to offer? A headhunter knows how your industry works – the technology, the trends and most crucially understands what you do. A headhunter will have many years of networking within your field behind them. They make it their business to know who’s who, and will very quickly have someone specific in mind for a role you need to fill. By using a headhunter you can save yourself a lot of time. Your company doesn’t need to embark on a long, drawn-out recruitment process that may not even lead to finding the right candidate at all. As a result of the above, a good headhunter works in an advisory capacity for you, hence reducing the risk of making a bad (costly) choice of candidate. Once a particular headhunter has done a great job in finding you the perfect new recruit, a relationship of trust can exist for locating suitable candidates for future roles. 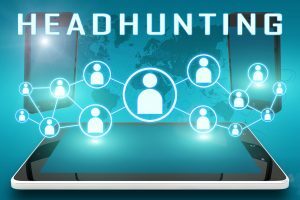 Good headhunters in your field will be up-to-date with the latest laws, strategies and techniques. Headhunters are very proactive – it’s their job. After all, they’re paid on results. An effective headhunter will work tirelessly on your behalf until the role is successfully filled. A top class headhunter knows exactly where to look for talent. They not only have good networking connections within your field, but they also have a highly comprehensive set of tools and knowledge at their disposal to get that ideal person through your door. Headhunters will thoroughly understand the job requirements and person specification for the role on offer. Then will then be able to comprehensively convey these to a potential new recruit. This allows the candidate to gain a much clearer understanding of the role from the outset, meaning less space for misunderstanding – and a possible recruitment mistake. Any headhunter worth their salt will also make sure they do not lose the best candidates to other companies. There are likely to only be one or two ideal potential new employees for the level of job you are aiming to fill. A headhunter will know how to get them interested and motivated in the role – and not let them get away!